You often don't need a catering attendant or server at your private event, and the costs associated. No per head costs, service fees, auto-gratuities, or any other fee structure besides a delivery fee if requested. With A La Carte catering each menu item is individually priced for your party size and quantity, and everything is packaged in a ready to serve container. All you do is pick up and set out. Email us at hello@lazizkitchen.com with date, time, party size, and a little bit about your event. We'll send over a menu proposal and take it from there! 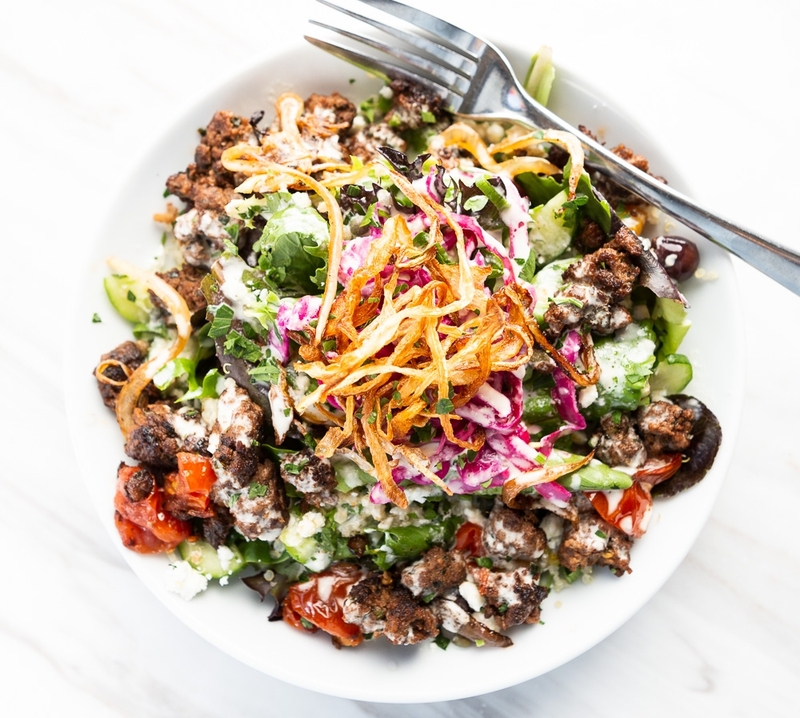 Think fast, healthy, local, and Mediterranean/Lebanese with vegan and gluten free options. Place orders via email at hello@lazizkitchen.com. Please give 24 hour advance notice for groups larger than 8-10. Same day orders for larger groups may take longer than usual. We also offer full service catering. This means we come and set up, serve, clean up, and take care of everything food so you can enjoy your party. We'll set up a time to meet and go over menu options and all logistics for the day of. Full service buffet style catering starts at $25/person for a minimum of 40 people or a $1000 minimum. Ranges vary based on what you order. $25/person covers two types of dips with pita and veggies, a salad, an appetizer, and a protein for small plate sharing. A 20% service fee is added to the total to cover delivery, utensils, plates, napkins, and a server. Additional servers beyond one will be subject to an additional charge. We rent out our main dining area and backroom for private events, staff parties, and social gatherings. We also offer catering services ranging from buffet style appetizers and dinners, to full service seated dinner service. Each event cost varies based on time need, space needed, quantity of food, etc. Email us at hello@lazizkitchen.com with a description of your event including date and number of people.